Nothing is more exciting than being presented with the opportunity or rather the excuse to completely renovate your wardrobe. Winter shopping is the best kind mainly because the sweet release from the relentless heat automatically puts one in a more agreeable mood, it’s that time of the year when friends and family make their annual trips deeming the weather relatively tolerable and weddings are in full swing. As a result shopping is a natural consequence and this season offers some delicious new trends so email those lists to your dearest guests before it’s too late! First and foremost your makeup products will need to be revamped to some more intense shades. Oxblood is the color to keep this season; you can acquire the rich shade in eye shadows, blush, lip colors, eye liners, mascaras and ofcourse nail color. Pair it with opulent jewel tones or just on its own for a mysterious bold charm. The deep burgundy tone applies to your clothes and accessories as well; you cannot have enough oxblood this winter in fact we would go as far as to say Oxblood is the new Black. Be it a pair of jeans or a sweater the vampire shade suits any and all skin tones which is a tough quality to find in a hue. Take a cue from Blake Lively in glorious sequined Gucci. We love everything about winter but it takes a toll on your skin so protect it with a rich moisturizer such as Clinique moisture surge intense skin fortifying hydrator. The formula is oil free however you know your own skin best so use what works for you. When it comes to bags it’s impossible to choose one so we have a few choices. There’s the chic unique range of Palestyle and Nawa clutches by Fashion Compassion in some lush, rich wintery colors and textures that are available locally and internationally through Labels eStore and stocked at Ensemble. We love the Celine Luggage Tote in Python, the texture alone gives us goose bumps. For a night on the town the McQueen oxblood studded box skull is deathly cold! No winter list would be complete without Mango’s tempting winter blazers. The sleek fitted velvet and the frayed trim Boucle jackets plus the herringbone palazzos are our top picks; comfortable, smart and easy to wear. Something Velvet is another must have that sparks glamour and keeps you toasty warm and Misha Lakhani has just the thing. A midnight blue lapiz devore maxi dress from her FPW 2012 showcase that gave us shivers. The sculpted fabric is created in-house by an acid burning technique. Speaking of velvet Miu Miu’s baroque smoking slippers are beautiful in gild and black, available on Net-a-Porter. For your formals this season baroque is a vital addition, the dramatic elaborate European ornamentation was the focal point of D&G’s fall collection and the rich curving gold layered brocade embellishments against black is pure romance. Let this sophisticated swirling trend infuse your winter closet from shades to shoes, bags and pants to jackets and jewelry. Accessorize with Bib necklaces to elevate the drama, winter is all about boldness and depth, and layered jewelry is right on the mark. Don’t forget about the basics, Nishat linens are your answer to comfort and style this season. The fabric has an amazing fall, a super soft texture, and the store offers a huge range of colors and prints perfect for daily work wear. Last but not least remember to grab some woven scarves from Accessorize and lovely in-house printed ‘Kaani’ shawls by Ensemble to complete your winter wardrobe. 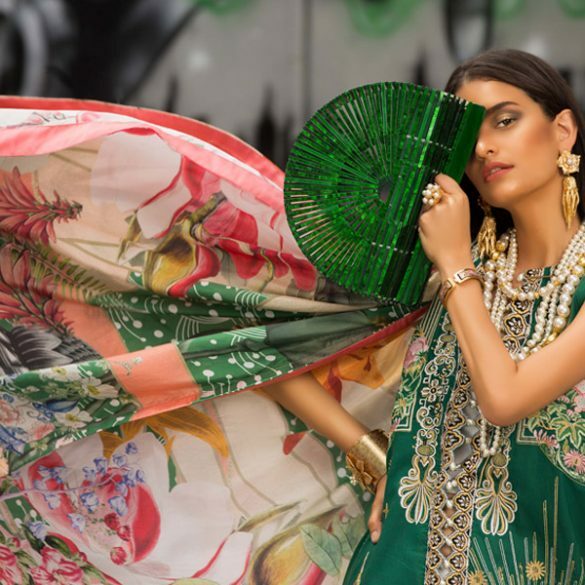 Weekend Obsession: Mahin Hussain & Samia Azmay Accessories at Labels eStore!